Make your group’s Mystics game outing even more memorable this season at the brand new Entertainment and Sports Arena! With discounted pricing for groups of 10 or more, you could take part in one of our exclusive experiences before, during, or after the game. 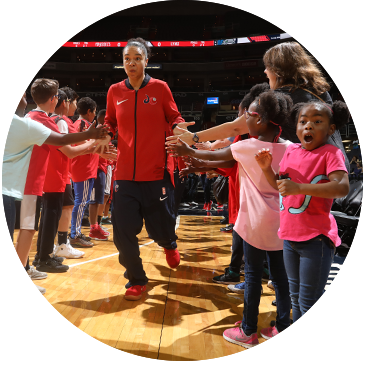 To learn more, call 877.DC.HOOP1 or email ticketsales@washmystics.com and book your group experience today! Catch warm-ups from the bench before doors open to the public. Your group can high-five the players as they come on the court to start warm-ups. 12 members of your group will stand in front of the players during the performance of the National Anthem. 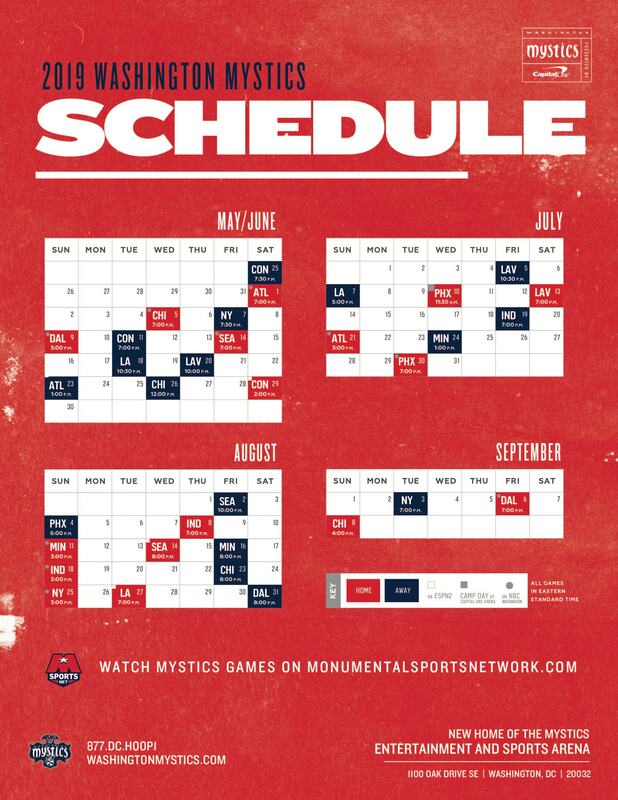 12 members of your group will receive an autographed ball from a Mystics player on the court. Take center court after the Mystics game to have your group picture taken. 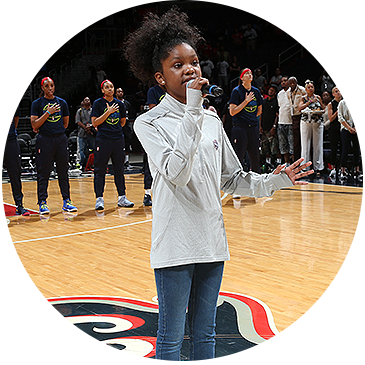 Your musical group can showcase their talents and sing the National Anthem at the start of the Mystics game. Have your team play on the Entertainment and Sports Arena court for 1 hour before or after the Mystics play. 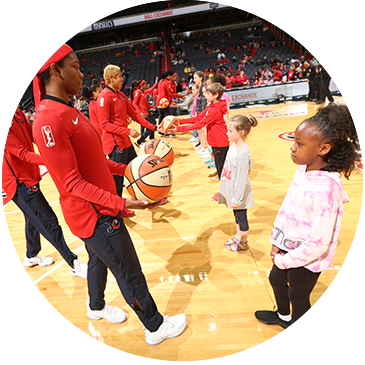 Your group can take center court at halftime to entertain the Mystics fans. GOT QUESTIONS? CLICK 877.DC.HOOP1 AND CALL YOUR TICKET REP TODAY!